All research demonstrates that the first years of life are foundational for the rest of our lives. Therefore, one of the best things we can do for our children is support their development. 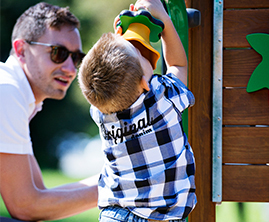 KOMPAN answers this call with its new line of play structures for society’s smallest citizens: MOMENTS Mini. What does this new line have to offer? In addition to age-appropriate size and scaling, the Mini portfolio also features a number of new play-based learning panels. 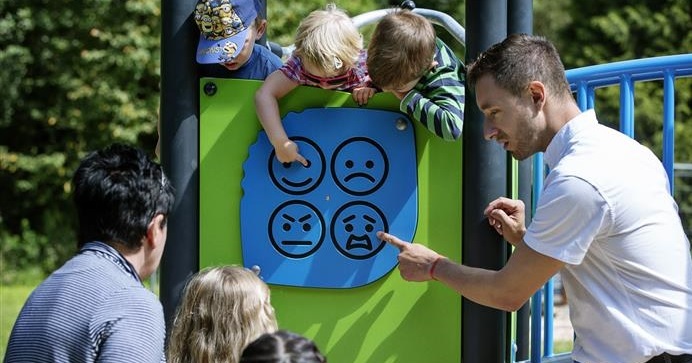 The panels support a number of skills and competences such as fine and gross motor skills, cross-coordination, abstract thinking and emotional development. “Through Mini’s extensive design process, we observed again and again that intelligently designed panels teach kids a lot, while they remain a lot of fun for the user,” says Cathrine Lüttge, designer on Moments Mini. Moments Mini brings customization to a new level. 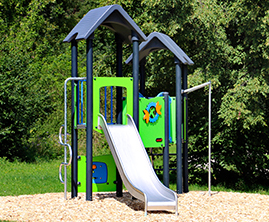 The client is able to choose between a number of options including slides, play panels, post materials and more. 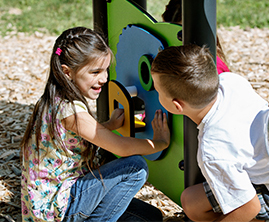 Get the play structure that perfectly fits your users’ needs. All of these innovations are of course backed by KOMPAN’s leading warranties and over 40 years of experience. Moments Mini is just another example, that KOMPAN is a world leader in promoting children’s development through play.